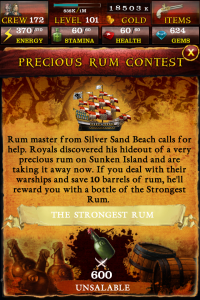 Another pop-up in the Pirates of the Caribbean : Master of the Seas game, announcing another weekend contest called “Precious Rum”. Rum master from Silver Sand Beach calls for help. 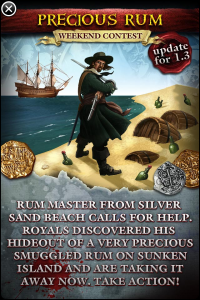 Royals discovered his hideout of a very precious smuggled rum on Sunken Island and are taking it away now. Take Action! Rum master from Silver Sand Beach calls for help. Royals discovered his hideout of a very precious rum on Sunken Island and are taking it away now. 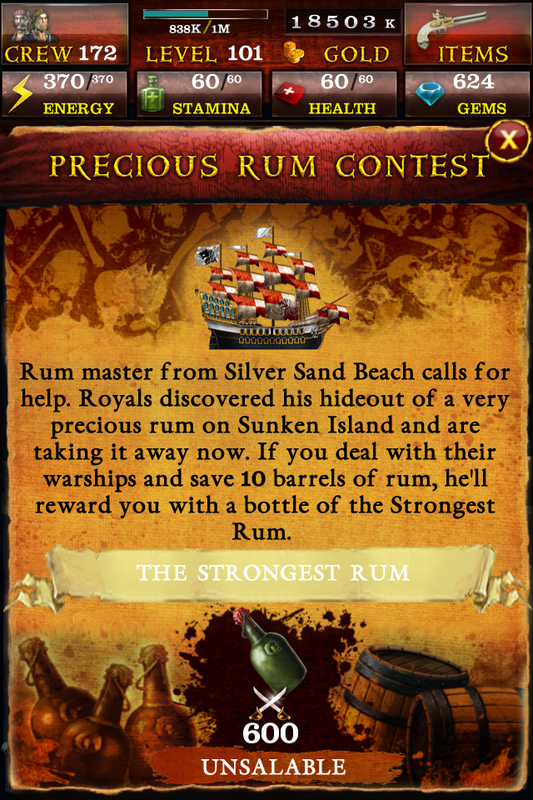 If you deal with their warships and save 10 barrels of rum, he’ll reward you with a bottle of the Strongest Rum.